The adult cast takes over in the next episode. I sincerely hope they resolve the cliffhanger in this episode before going on as I don’t want a time leap at the beginning before we see more of Hae Joo’s fate. Geum Hee…her character makes no sense really if you think about it. She’s getting more and more on my nerves while I am liking Dal Soon more and more as she is starting to treat Hae Joo much better and is even struggling to show her adopted daughter affection. 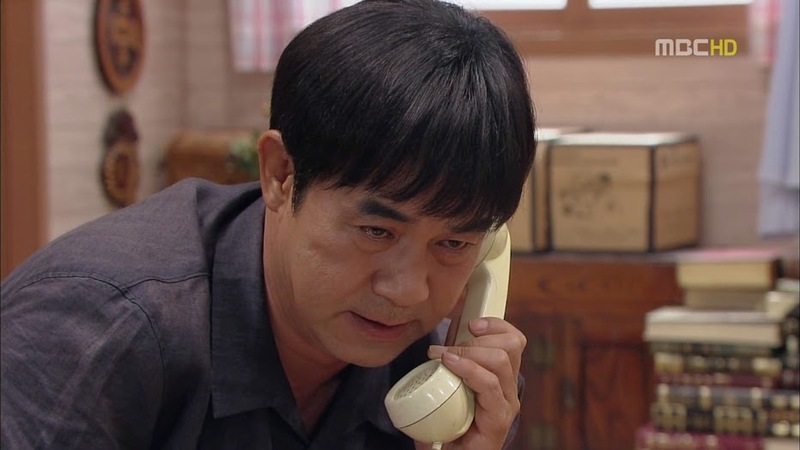 Bong Hee finds the crying Chun family under the bridge and demands to know what happened. We then have her steering the cart straight to her sister’s doorstep. Geum Hee is less than thrilled that her little sister wants her to look after the entire Chun family. Bong Hee says that she promised Jung Woo she’d help and this is the only way she could think of, plus Geum Hee needs to work her magic on Jang and have Jung Woo released from jail. In Hwa shows once again that she’s the best person in the Jang family—she feels sorry and wishes to help her new best friend. 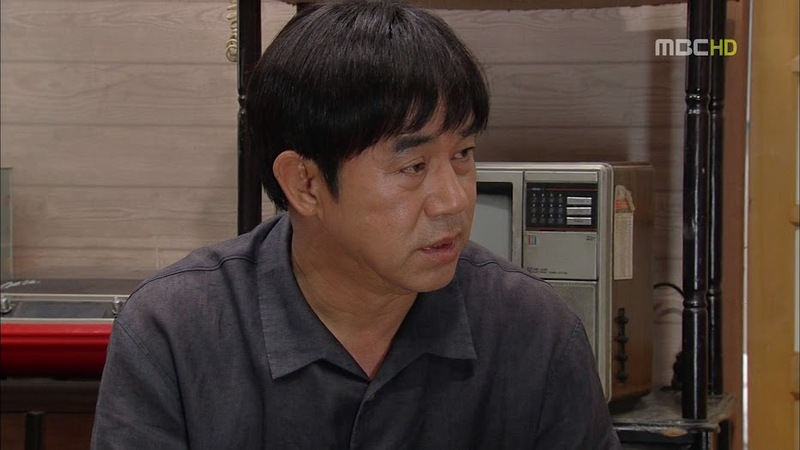 Much to Gi Chul’s horror, his son offers their own house to the Chun family. The girl’s can take his father’s room while Sang Tae can sleep in Chang Hee’s room. LOL. That’s right, your sin will forever be biting you in the rear, Gi Chul. Poor San gets to witness his grandfather’s arrest for tax evasion and other trumped up charges. Meanwhile Geum Hee angrily pays Jang a visit. Jang still maintains that his workers were to gung-ho and it wasn’t is direct order to tear down the village like that. He also asserts he had nothing to do with Jung Woo’s arrest and that’s between Jung Woo and the police. Geum Hee ORDERS Jang to use his influence to gets Jung Woo samchoon out of jail. LOL. Looks like he’s going to whether he wants to or not. You do have to love how Geum Hee also insists that Jang get a house for the Chuns as they are living under their roof (well, not literally) and she doesn’t want them there. Hae Joo is hanging up laundry at night (she’s having a hard time as the line is a just a wee bit too tall) when Chang Hee easily reaches up to help. She tells him she doesn’t want to impose on him any more than she already has and that’s why she’s doing that. Chang Hee doesn’t mind. He’s happy to have Hae Joo there. This pleases Hae Joo. She’s happy to be living with Chang Hee as well. The two work together snapping out the next sheet when Hae Joo stumbles into Chang Hee. Awkwardly charged moment ruined by Il Mun’s arrival. He immediately starts complimenting then on being a good couple. He calls Hae Joo a beggar and she insists angrily that she isn’t. When Chang Hee tries to protect Hae Joo, Il Mun starts getting up in his face and Hae Joo grabs a broom and starts whacking Il Mun with it. I LOVED it! As much as Il Mun has been fleshed out a wee bit more, he still in good need of a beating to knock some sense into him. Unfortunately Geum Hee arrives at that moment. She bawls Hae Joo out. She thought the girl might be decent, but after seeing her hit her son with a broom, she believes Hae Joo is a low-bred girl. Hae Joo apologizes and tries to explain, but Geum Hee turns deaf ears to the defects of her son. She takes a look at Hae Joo’s clothes and is disgusted. Why is Hae Joo wearing such tatty clothes? Where are the clothes Geum Hee gave her? Geum Hee is livid that Hae Joo sold them meaning she didn’t care about Geum Hee’s thoughtfulness. Ahem. Thoughtfulness? What thoughtfulness? Geum Hee only bought those clothes to assuage her guilt over slapping Hae Joo when she learned it was really In Hwa’s mistake plus Hae Joo saved In Hwa’s life. Hae Joo lies in bed with her sisters and mother. She notices that Dal Soon isn’t sleeping and asks if she is okay. Poor Dal Soon just doesn’t know what to do. Sure, they have this place for now, but what will she do with the debt left behind and the four kids? Hae Joo quotes Hong Chul about not being afraid and losing yourself to darkness as there is always light whether you can see it or not. Dal Soon replies that Hong Chul only left behind pretty words. Hae Joo rolls over and Dal Soon rolls towards her and stretches out a hand to stroke Hae Joo’s head. She stops herself and shakes, fighting back tears. How sad that it was her husband’s death that allowed her to actually start showing her concern over Hae Joo. At least she is mending her ways. Better late than never in this case. I also like how Dal Soon told Hae Joo that she must stay in school as she is less likely to get a job without an education. Good mothering at last, woman. LOVED LOVED LOVED this next scene. Bong Hee anxiously waits outside of the police station and as soon as she sees Jung Woo, she gives a shout and rushes to him, jumping into his arms and wrapping her legs around him. This flusters Jung Woo samchoon. He tells her to calm down and get off. People will think he’d been in jail for 10 years instead of only one night. Bong Hee calms herself a bit and hands him over tofu (it’s traditional to give someone tofu after they have been released from jail). Jung Woo doesn’t want any, but she shoves it in his mouth which he reciprocates. Their relationship is just soooooo cute. They go to his demolished house where she wonders what he’ll do. Jung Woo tells Bong Hee he will help the villagers move and maybe go study at a temple again. 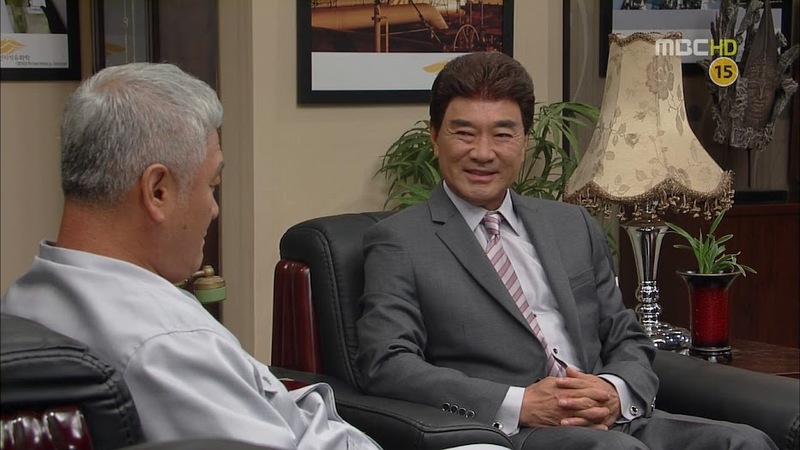 Bong Hee immediately asserts he can’s as he hasn’t even married yet. LOL. Why can’t these two just admit that they do like each other? Bong Hee goes and stomps off and says she hates him, but she’s going to help him and the villagers. 😛 Yep, she and Hae Joo are quite alike. 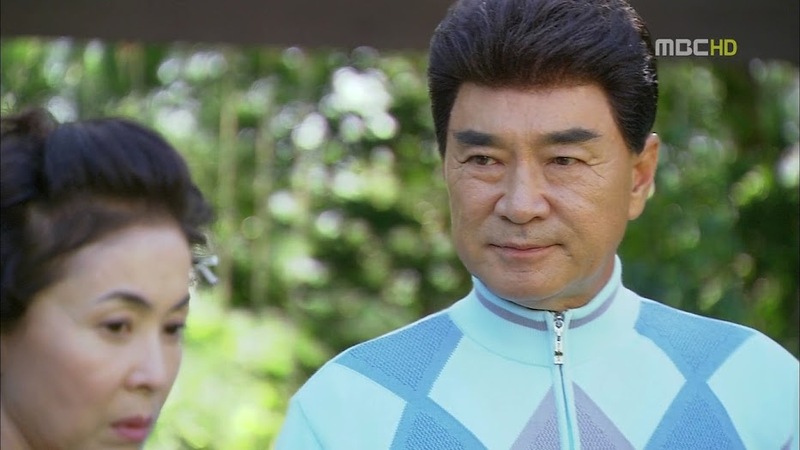 Funny how Hae Joo takes after her real father, her aunt, her uncle, her adopted dad (and even her adopted mother at times), but she doesn’t seem to take after her real mother at all? Kang desperately makes call after call, but no one answers and those that do will not help him. Kang caves and says he will give up his share of the orchard. This earns him a smack. The one prosecutor verbally and physically abuses him. The other prosecutor calms him down and the resigned Kang demands to know just what Jang wants. And what does Jang want? His shipyard of course. Kang is released from jail and he takes San to the shipyard. He tells him that the yard will no longer be their’s. He then tells San that he will go and study in the US until he gets his doctoral degree. Kang explains to his grandson that he can’t fight and get back what was lost, but he hopes San can. San doesn’t wish to leave Korea, but he will honor his grandfather’s wishes. He then asks if it was Jang who was the mastermind behind it all. Yes. Kang underestimated his enemy and lost everything. San vows to take back the yard from Jang—even the parts that Jang built and expanded. You know, I get it. Kang has no power and cannot compete against Jang, but at the same time, I really do think its bad in all of these dramas to have your progeny commit themselves to your revenge for you. It’s like trying to have your kids live out the dreams you never got to see realized—it’s not always a good thing (like in Marry Me, Marry where Jung wants his son to marry Mae Ri since he didn’t get to marry her mother). But then again, we wouldn’t have a drama without all these contrivances. San goes to the Jang house where he goes to pass by Il Mun. The boy doesn’t want to let him go without a word. Il Mun says he heard Kang was arrested and he wonders if San is there to ask Jang for help. San asks after Hae Joo and Il Mun trashes her and then says its fitting for San and Hae Joo to be together. San has had enough and his fuse goes off. He punches Il Mun. The other boy falls to the ground, his mouth bleeding. He gets up and spits and says San has a good punch. If San isn’t careful, he’ll be joining his grandfather in jail. Before San can hit him again, Hae Joo comes up. Saved by the dame. Il Mun makes his parting shot (mouthing off about how they make a good couple). The angry Hae Joo demands to know if Il Mun was causing trouble again. LOL. I do like how Hae Joo doesn’t really need people to save her—she can save herself and others. San takes her hand and leads her to a different part of the yard. Hae Joo pulls her hand away and demands to know why he’s pulling her (I loved how she scolded him for casually taking a lady’s hand and pulling her around). San then reveals he’s leaving for the US and wanted to say goodbye. He hands Hae Joo the bag he carries. Inside is an oil drilling ship. Hae Joo is fascinated. San tells her to work hard so that she will be able to build ships like that. Hae Joo wants to know how she can build such an expensive ship. San tells her that his grandfather once was only a lowly welder, too. This gives Hae Joo hope. She wonders what she can give him in return. San takes her headband and says that will be her return gift. Hae Joo isn’t sure about this, and then San then pulls her into a hug. She tries to pull away, but can’t. He tells her he probably won’t see her for a long time as he won’t be coming back until he graduates college. Hae Joo notices Chang Hee and immediately pulls away scolding San for hugging her. She then quickly walks away. Chang Hee is obviously not happy to see this development. Hae Joo thinks back to what San told her and she touches her head where her headband always was. They won’t be able to meet for a long time, huh? Hae Joo recalls all of her times with “the liar” and smiles. Meanwhile, San delivers the news of his departure to Chang Hee who is not happy to hear the news. San regrets that this will give a chance for Chang Hee to get closer to Hae Joo. San then makes Chang Hee promise to leave the Jang house as soon as possible as the Jang family is now his enemy and he doesn’t want to fight against Chang Hee. I have a feeling these two will end up on opposite sides of this fight, but I am hoping they may come together in the end. Kang goes and signs the papers giving Hae Poong to Jang. who has to kick the man when he’s down. Kang should never had started that fight. Kang should just think of it as early retirement since the man was bound to retire sooner or later. NOT comforting at all. Kang goes to his shipyard and screams obscenities at Jang before breaking down and sobbing. Poor San witnesses this. It’s got to be hard for him to see his lion of a grandfather laid so low thanks to Jang. In Hwa goes to see San off. She vows that she will go study abroad in the US, too, just so she can be with him. San doesn’t like this idea. If In Hwa comes to the US, then he will go to Africa (well, that’s a joke). He tells the younger girl to grow up well and find a nice guy. Not what In Hwa wishes to hear. San says he will actually miss the persistent little girl. He goes to tell her that the next time they meet they’ll be enemies, but he can’t bring himself to tell the innocent girl. He then sits alone holding Hae Joo’s headband. I feel so badly for him, but he is strong and you know he’ll do well if he applies himself. Hae Joo has become the Jang’s maid to earn her and her family’s keep. Jang goes into his office and finds her holding his oil driller ship model. He warns her not to touch anything. Hae Joo apologizes and then asks him about the boat. Jang is surprised by her knowledge. Hae Joo also lets him know that she knows he took over the village to build a shipyard. Why, is she angry? Hae Joo quickly replies she isn’t as they hadn’t lived their very long anyways. She then asks about building such a ship. Jang admits he will be building drillers. Hae Joo wonders what she needs to do to be able to build such a boat. Jang is less than encouraging. She needs to go to school and study abroad (hard to do when you don’t have the money). Condescending arse. In Hwa then comes in and demands Hae Joo come with her as Geum Hee as dictated that Hae Joo be given some of In Hwa’s clothes. Eyeroll here. Again, you know it has nothing to do with Geum Hee being nice. She just doesn’t want Hae Joo wearing such clothes in her presence. Oh, and a brief pause. If you look at those two girls side by side, how on earth could the bigger Hae Joo fit into any of the tiny In Hwa’s clothes? But fit she does and boy does she look pretty. Jang happens to catch sight of Hae Joo’s scar when In Hwa was wondering if Hae Joo would look better with hair up or down. This stuns him. He immediately rushes out and demands to know from Dal Soon if Hae Joo was adopted. For once the woman says that Hae Joo is her biological daughter. Jang apologizes, but he’s still very shaken. Poor Dal Soon wonders how he knows. Good thing she didn’t shoot her mouth off like normal. 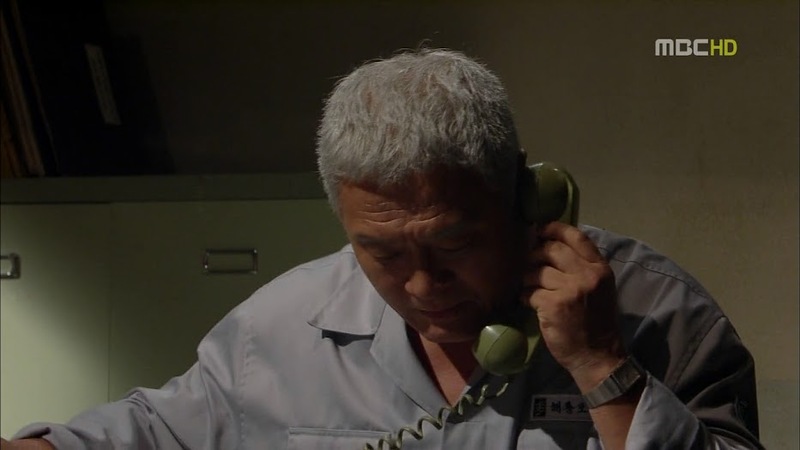 Worried that Jang is a step away from the truth, Gi Chul calls up the loan sharks. That night Hae Joo comes in with her new dress and asks Chang Hee how she looks. He says she’s very pretty. Hae Joo then says she will quickly change her clothes. Dal Soon sings a completely different tune this time. No, Hae Joo should wear them as she looks good in them. Even Sang Tae can’t believe this change. Enter the loan sharks. Chang Hee tries to protect the Chuns and call the police, but he’s grabbed and threatened with a beating. Fierce Hae Joo stands up and says that she will not let any harm come to that oppa. Ahhh, young love. Gi Chul then comes in and plays the hero. He will pay off the debt. He then blubbers that he’s felt guilty since he’s the cause of Hong Chul’s death (little do they know he is the real cause) since Hong Chul wouldn’t have come to Ulsan if it wasn’t for him. 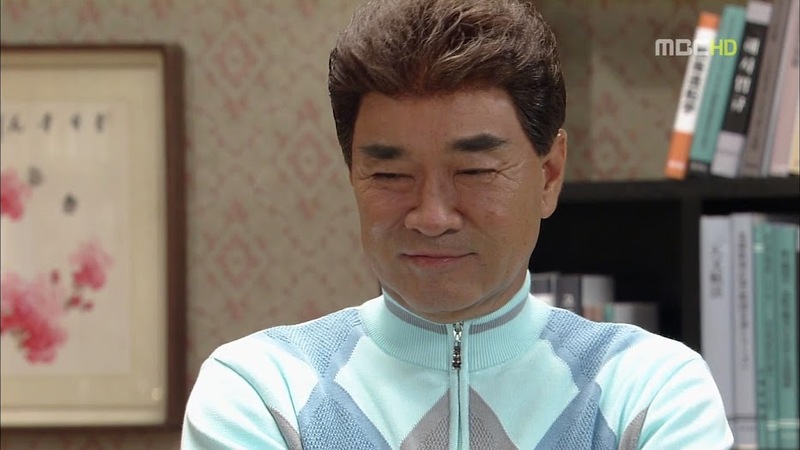 This makes Chang Hee feel bad for misunderstanding his father. However, Gi Chul has a request—the Chuns must go back to their house in Hae Nam. He gives the goons half the money and asks if they will do what they promised. They agree as long as Gi Chul gets them the rest. Hae Joo thanks Gi Chul for everything and the man turns to go back in. Chang Hee then quickly grabs her hand and quickly lets go when his father turned back to ask why he wasn’t coming. Chang Hee did that to pass on a note! True to their word, the Chuns leave Ulsan for their home in Hae Nam. In Hwa is unhappy that Hae Joo is ignoring her wishes to the very end and leaving. The kids don’t necessarily wish to leave, but Dal Soon wishes to leave the place that killed her husband. The truck leaves and Hae Joo looks for the missing Chang Hee. She finally spots him. Afterward she reads his letter. He encourages both their dreams, he encourages Hae Joo to write to him often, and he also tells her that she showed him there was light in a world that had been filled with only darkness and pain. Awww. Such a sweet and heartbreaking letter all at once. 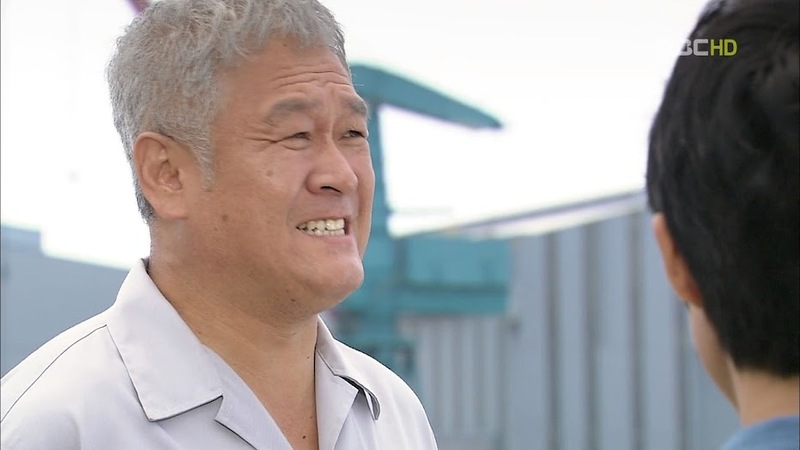 Got to love how Chang Hee is still determined to own the shipyard. Hae Joo quickly hides the letter when Sang Tae asks what it is. 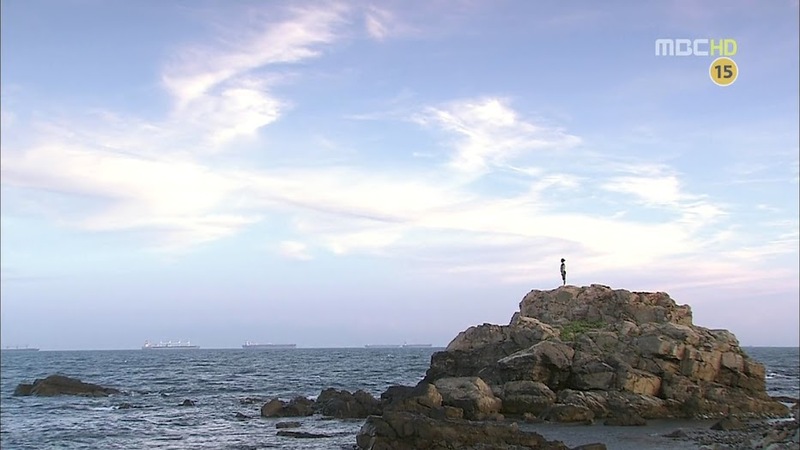 Hae Joo has the truck stop by the seaside and climbs a rocky outcrop. She bids goodbye to her father and promises him that she will return. Meanwhile, Geum Hee meets the maid who is upset as the Chuns left some of their junk in the yard instead of throwing it away properly. It just so happens one of the items is the yellow outfit that went missing! Geum Hee goes into a tizzy and demands to be taken to Hae Nam where she can question Hae Joo and her mother herself. In order to circumvent their meeting, Gi Chul calls the goons and says that they need to stop the family from getting to Hae Nam. In particular, Hae Joo, the eldest daughter, needs to be taken care of. Leave it to Gi Chul to ensure his own hands remain clean. It’s amazing that he managed to kill anyone at all. The thugs lock the Chun family in a shed. 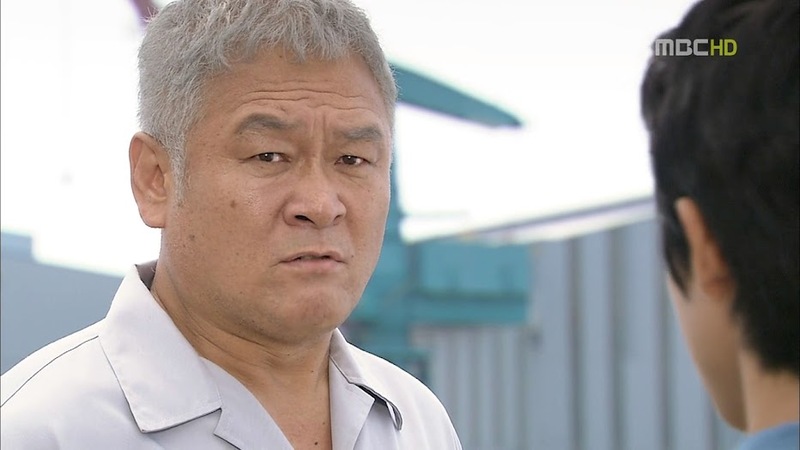 The boss plans on selling Hae Joo to some island and leaves his men to deal with the rest of the family as they see fit. Desperate, Hae Joo and Dal Soon start digging out the bricks at the bottom of the door. They manage to create enough space for Young Joo to crawl out. I am impressed the child didn’t just cry helplessly. She did all that she could to unlock the door to free her family. Looks like her unnie is rubbing off on her. The five escape, but Hae Joo has to rush back in to grab her model. At this time the goons return and they quickly hide behind the shed. Hae Joo hands her precious model over and tells her mother and siblings to meet her at the station in town as she will lead the men off to ensure her family escapes. Dal Soon doesn’t want to separate, but they have no choice. Hae Joo acts as bait and is soon being chased. Meanwhile, Geum Hee is half out of her mind when she finds the Chuns have not returned to their house. She is adamant. She knitted that sweater. If Hae Joo isn’t her daughter, then she needs to know where Dal Soon bought the clothing from. Geum Hee even goes so far as desperately asking people at a bus station if they know the Chun family. I wonder if she’ll go completely bonkers before the end of the series? Hae Joo is caught and put on a boat. She bites the lead thug’s arm and manages to escape. She is chased to a cliff. With nowhere to run, Hae Joo prays for her father to protect her and dives in. And that’s where this episode ends. So they better continue where this left off before the time jump otherwise it will be too awkward and weird. Thanks for the recap! I’m with you on disliking the biological Mom. I remember a comment on soompi asking why the 2 kids (In Hwa and Il Moon) grew up to be such brats even under the care of HJ’s mom, now we know why. The mom is kinda oblivious, only loving and caring those close to her, to the exclusion of everyone, which is not healthy at all. I have a feeling that her quest to find HJ (resulting in IH’s neglect) would trigger In Hwa’s jealousy. You’re welcome. I didn’t think I’d dislike the biological mom at first, but she just grates on me more and more as time goes on. I remember that soompi discussion, too, about why the kids are brats when Geum Hee didn’t seem that bad. But yeah. Geum Hee has that holier than thou attitude and coddles her kids. She doesn’t think they can do a single thing wrong. I agree, it’s a very unhealthy relationship balance for the Jang family. Well, since IH doesn’t know her mother isn’t really her mother, that would be a great reason if GH goes off her rocker and neglects her to look for HJ (her real daughter). Good observation. “May Queen” is really full of tragedy!!!!!!!!!!!!! !